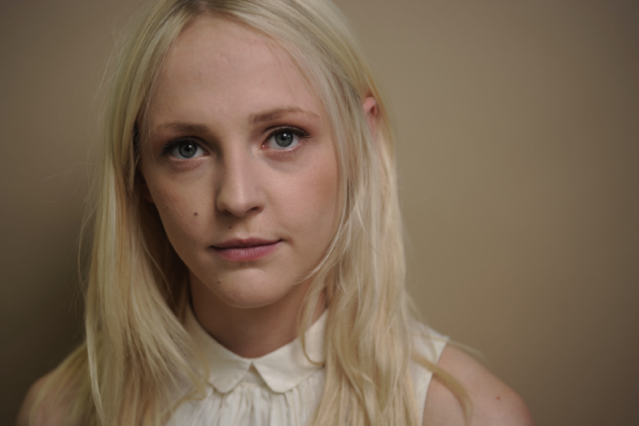 Life doesn’t come easy for Laura Marling. On 2011’s enchanting, unsettling A Creature I Don’t Know, the London singer-songwriter cooed, in hushed, pure tones, hard-won stories of love and loss set to crystalline acoustic guitar-led folk rock. It’s captivating stuff, no less so live. (A U.S. tour kicks off at Bonnaroo on June 8.) We caught up with the precocious Marling, 22, via phone while she was at home, taking a break from working on material for a new album — tentatively due at the end of the year — to chat about the very serious sources of her inspiration, from literature to German water nymphs. I find literature just so mind-boggling. Right at this second I’m reading Franny and Zooey by J.D. Salinger. Recently I also read a collection of Raymond Carver short stories. The words on the page create this vivid imagery and I think I’m slightly envious of that. I like the structure of the sentence — the turn of phrase — and I do take a lot from that. I also love tearing things out of newspapers and underlining things in books and jotting them down. Sometimes I come back to them, but sometimes they get lost forever. I’ve been quite fascinated by the relative insignificance of human existence, the shortness of life. We might as well be a letter in a word in a sentence on a page in a book in a library in a city in one country in this enormous universe! And that kind of fear and insignificance has kept me awake at night. I feel like it must be universal. Everybody must know that somewhere. The other day I was looking through some old sketchbooks of mine and I found something about the myth of Undine. She was a water goddess or water nymph and she was supposed to make people feel like there was no danger in the world and lull them into a sense of security. And she causes people to walk into the water. I’ve been thinking about that a lot over the last couple months. Undine will probably pop up somewhere [on the new album]. I do like stories from ancient times and the beginning of literature — the way they use personification. A character was not only a being but representative of a passion like adultery. Each character had an aspect of human nature that they represented. I found that a useful tool. I’m not only influenced by folk. I did some stuff with Jack White a couple years ago. [White produced a 2010 seven-inch single from Marling.] He’s very important in modern music, very interesting. And there’s another band called Smoke Fairies who are two girls, who play electric, really bluesy rock. I’ve played with them a couple of times and they’re really exciting in the same way. I’m not doing [the next record] with a band this time. I just got the urge to keep it really simple. My reaction to everything in life is when it gets a bit complicated to water it down and make it simple again. Like, I love the convenience of the city, but I also have to remember that convenience is not always a good thing. It makes you forget what it is to be a human being. I’m recording out in the countryside and that influences the sound, certainly. You can quite often hear birds in the background. Little children laughing and stuff like that. Those are two things I’m obsessed with. I’m reluctantly interested in love and helplessly interested in logic and yet they’re so conflicting. And they’re both necessary for a happy balance, a happy existence…I think.